Ranging from 20-200 tons, Power Team aluminium cylinders are light, weighing half as much as equal capacity steel cylinders, perfect for jacking and other non-production applications. The aluminium body prevents sparking in explosive environments, whilst the cylinder bore and piston rod are hard coated to fight against wear and corrosion. 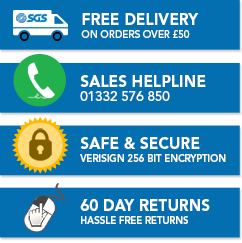 At SGS we have everything you might need to ensure your garage or workshop is fully functional. Investing in one of our lightweight hydraulic cylinders is a move you definitely won’t regret. Much lighter than their steel counterparts we stock a wide range of lightweight aluminium cylinders from the leading brand Power Team. 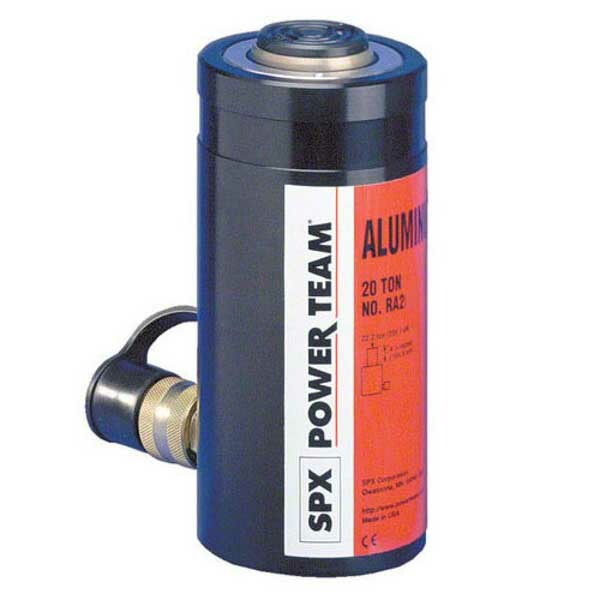 Our Power Team hydraulic cylinders are top of the range. Their lightweight aluminium coating means they are less inclined to have problems with corrosion and much easier to lift and transport. The aluminium covering however doesn’t compromise on their efficiency, they are the best choice for when working with corrosive substances and resist sparking in explosive environments. Don’t shop anywhere else for your lightweight hydraulic cylinder needs, our comprehensive range includes a selection of sizes from 30 to 100 ton in a number of different heights. The hydraulic cylinders we stock come with a lifetime guarantee so you can trust that our aluminium hydraulic cylinders won’t let you down. For any more advice or information, call 01332 576 850 to get a quote for purchase or to inquire about hiring the tool now. * Equipped with carrying handles.